Longitudinal extensive transverse myelitis is an inflammation of the spinal cord. This inflammation damages nerve fibres due to which myelin coating of nerve fibre is decreased leading to decreased electrical conductivity in the central nervous system. Here the word transverse means that the inflammation extends over the entire width of the spinal cord. It can occur at any age and the incidence of transverse myelitis is 4.6 in 1 million people affecting men and women equally. WHAT ARE THE SYMPTOMS OF EXTENSIVELY TRANSVERSE MYELITIS (NEUROMYELITIS OPTICS)? Disturbances in motor nerves and sensory nerves. Mainly, the signs and symptoms depend on the area of spine involved. Thoracic: This is the most common location of the lesion. If there is a lesion in the thoracic spinal cord (T1-T2) which produce upper motor neuron signs in the lower limbs, then the individuals will have weakness in the lower limbs. Cervical: Cervical lesions account for about 20% of the cases. If the upper cervical cord is involved, then all four limbs may be involved and there is also a risk of respiratory paralysis. Lesions of the lower cervical region will cause a combination of upper and lower motor neuron signs in the upper limbs. Lumbar: Lumbar lesions account for about 10% of the cases. A lesion of the lower part of the spinal cord comprises lumbar lesion. Symptoms of lumbar lesion are weakness and numbness of the limbs, dysfunctional sphincter activities and dysfunction of the autonomic nervous system. Other symptoms are sensory symptoms like sensation of pins and needles travelling up from feet. Impaired function of the bladder and bowel which can also lead to high blood pressure. Pain may suddenly begin in the lower back. Something tightly wrapping the skin of chest, abdomen or legs. WHAT ARE THE CAUSES OF EXTENSIVELY LONGITUDINAL TRANSVERSE MYELITIS? It is a heterogenous condition. There are several identified causes of this disorder but the exact reason for transverse myelitis is not known. Sometimes, no cause is detected. 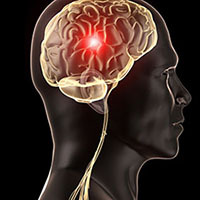 It may be caused due to auto-immunity when it appears in multiple sclerosis cases because it is considered to be produced by the same underlying condition that produces the lesions. In other cases, the disease is caused by viral infections such as cytomegalovirus (CMV). Spinal cord injury is also the cause the disease. Immune reactions, insufficient blood flow through spinal cord vessels are the causes. Bacterial infections like Mycoplasma pneumoniae, lyme disease etc. Viral infections like herpes zoster, herpes simplex, HIV/AIDS. Multiple sclerosis: It is a disorder in which the immune system destroys myelin surrounding the nerves in the spinal cord and brain. Transverse myelitis as a sign of multiple sclerosis usually causes symptoms on only one side of the body. Damage to the myelin of the optic nerve including pain in the eye with the movement. Steroids in high doses are often given to the patients to reduce the degree of inflammation and swelling of the spinal cord but this treatment is not truly effective. Planet Ayurveda's medicines are pure, natural and 100% standardised extracts and there are absolutely no side effects of products. Planet Ayurveda's products are free from synthetic flavours, added colours or other chemicals. These are pure vegetarian products and made from plant cellulose. For this disease, we have following remedies which can be taken for few months for better results. Boswellia curcumin is a wonderful herbal preparation offered by Planet Ayurveda that has Shallaki (Boswellia serrata) and Curcumin (Curcuma longa) as the ingredients. Boswellia Curcumin capsules are one of the most effective combinations of anti-inflammatory herbs. These herbs have both analgesic and anti-inflammatory properties. Thus, these capsules are quite effective in reducing inflammation of spinal cord. These capsules suppress the growth of inflamed tissues as well as prevent the breakdown of the surrounding connective tissues. Gotukola capsules of Planet Ayurveda are prepared by using pure extract of Gotukola (Centella asiatica). It is considered as a herbal supplement for brain and nervous system. This herb provides strength to the nervous system as well as reduces inflammation of nerves. This herb also prevents nervous exhaustion and also feeds nervous system. Thus, gotukola capsules are quite effective in the treatment of extensively longitudinal myelitis. Brahmi herb is considered as brain tonic in Ayurveda. It has a calming effect on nerves. This herb has anti-oxidant properties as well. It is a neurological tonic which helps in improving neuron degeneration. It pacifies Vata and Pitta doshas and helps in maintaining healthy nervous system. Stress and anxiety are mental health issues which affect brain and nervous system. The level of stress may arise to such an extent that it may lead to several severe complications. Stress support capsules of Planet Ayurveda are packed with wonderful ingredients such as Ashwagandha (Withania somnifera), Tagar (Valleriana wallichi), Brahmi (Bacopa monnieri) and Jatamansi (Nordostachyes jatamansi). All these herbs help relieve stress and are used in neurological conditions. Ashwagandha (Winter cherry) is one of the most valuable herbs in the Ayurvedic medical system. It improves the body's ability to maintain physical effort and helps the body to adapt to various types of stress. This herb helps in gaining muscle strength and nervous breakdown. Ashwagandha capsules of Planet Ayurveda are 100% pure and are useful in debilitating conditions, fatigue, stress, nervous breakdown. It is considered as nerve tonic and enhances stamina. 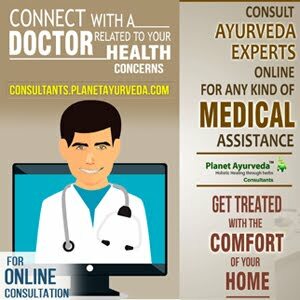 All the products of Planet Ayurveda are safe, effective and free from any side effects. It is difficult to predict the course of transverse myelitis. People who experience a rapid onset of signs and symptoms have a worse prognosis than do those with a relatively slower onset but Planet Ayurveda's natural and effective treatment provides hope to such patients.